Route 20 explores the tensions between romantic love and sexual desire. 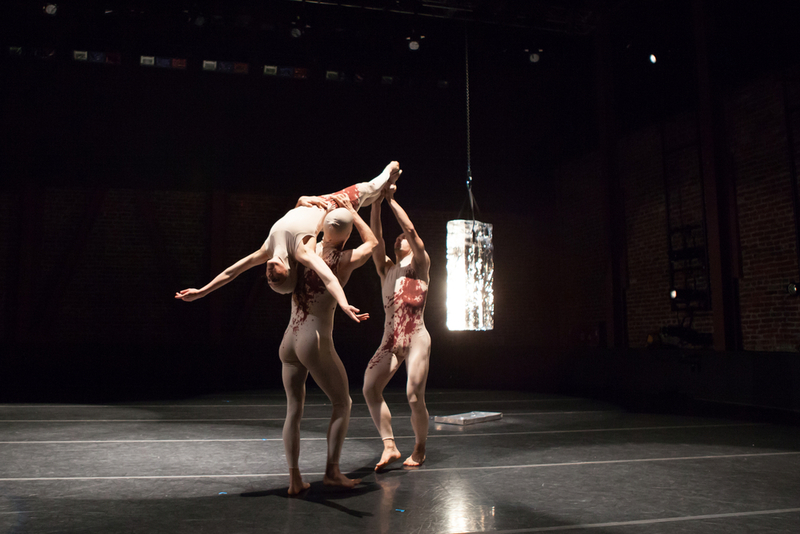 Three dancers navigate high-stakes partnering as they move between story and abstraction.The dancers wear androgynous hooded unitards splattered with red paint. The set features a large block of ice that melts as the dance unfolds.